The Shaft Platform is mainly used in the concrete pouring of elevator shaft, equipment shaft, stair shaft of high rise building and so on. The Shaft Platform is made up of platform board, timber beam, beam clamp, shaft beam. The Shaft Platform has many types measurements which is able to cover the length between 1.45m to 5.8m.this is to cater different width of shaft. The formwork and platform are to be lifted separately when platform is raised. 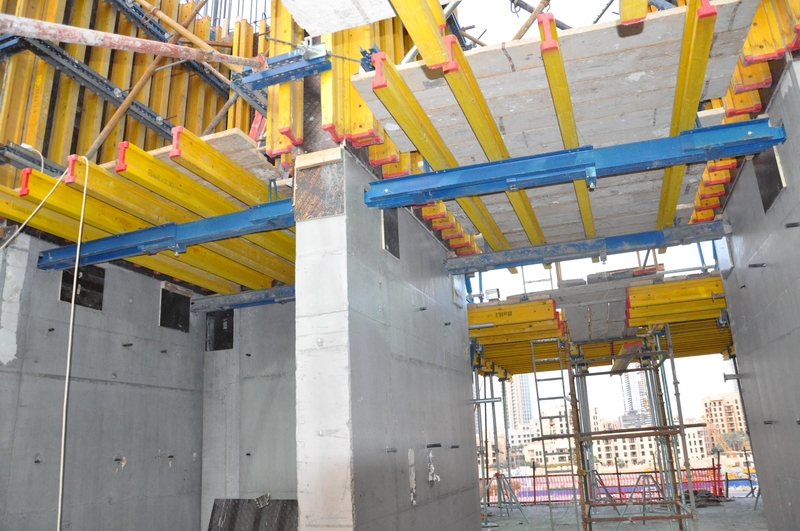 The formwork is to be lifted first followed by the platform, when the platform is in place it is important to ensure that the shaft beam structure is tightly secured. The structure is stable and easy to operate. The connecting components are highly standardized and are widely applicable. 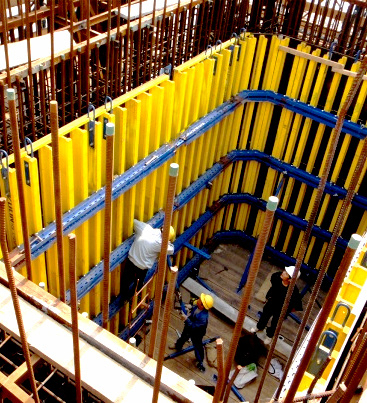 The brackets, formworks and construction loads are fully supported .it is suitable to be used in the concrete pouring of high rise core wall. The platform beam has many types of specification and length which are adjustable according to the tube structure measurements.